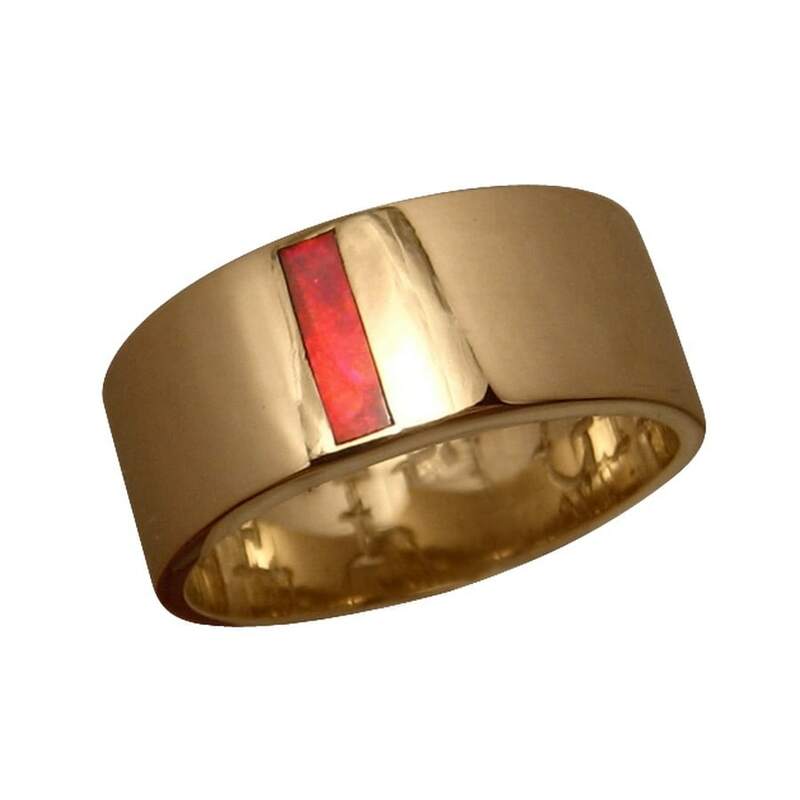 A wide Opal ring with a rectangle Red Opal in 14k Gold. 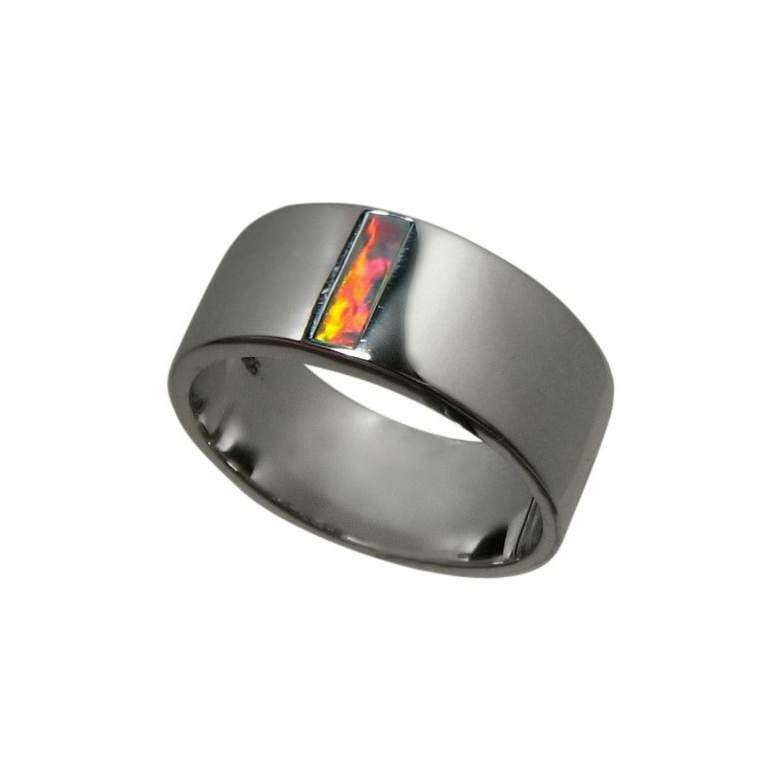 An Opal ring with fire for men although could be worn by women who like wide bands. 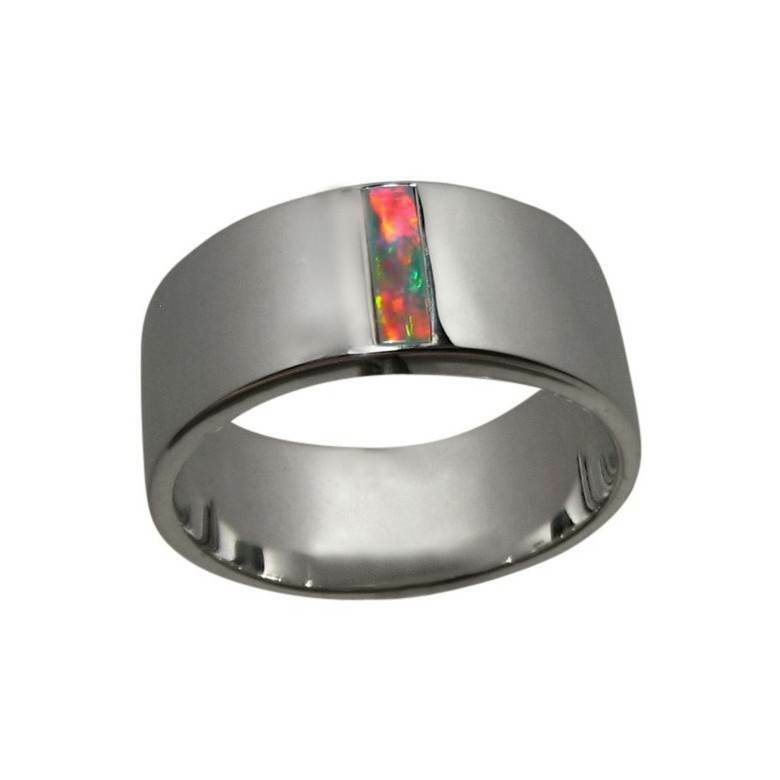 Shown in 14k White Gold but in Yellow Gold, the Opal would really stand out. 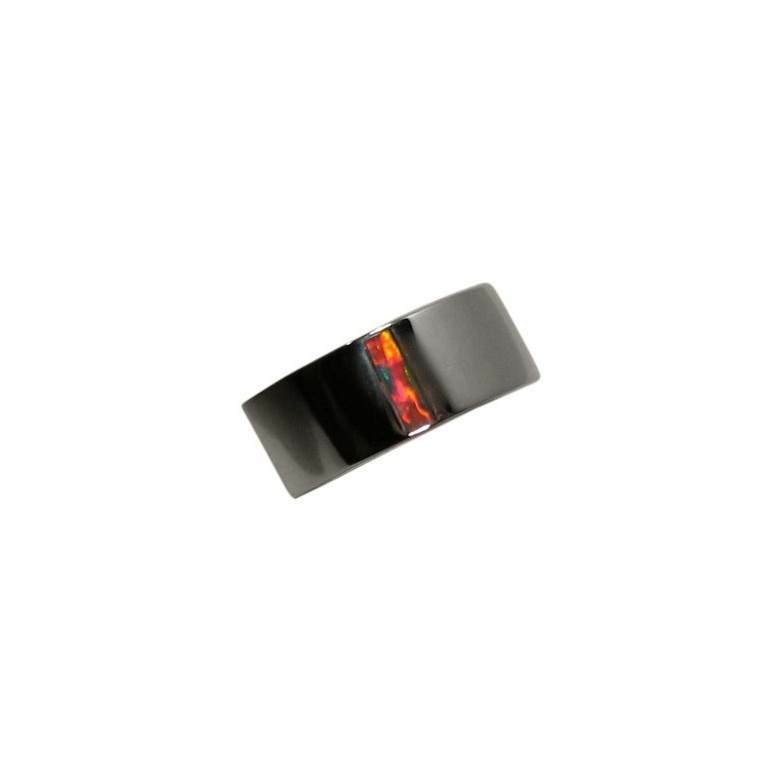 The ring itself weighs over 13 grams and is inlaid with a rectangle cut Opal that is bright Red and is set vertically across the band which is 9 mm wide. 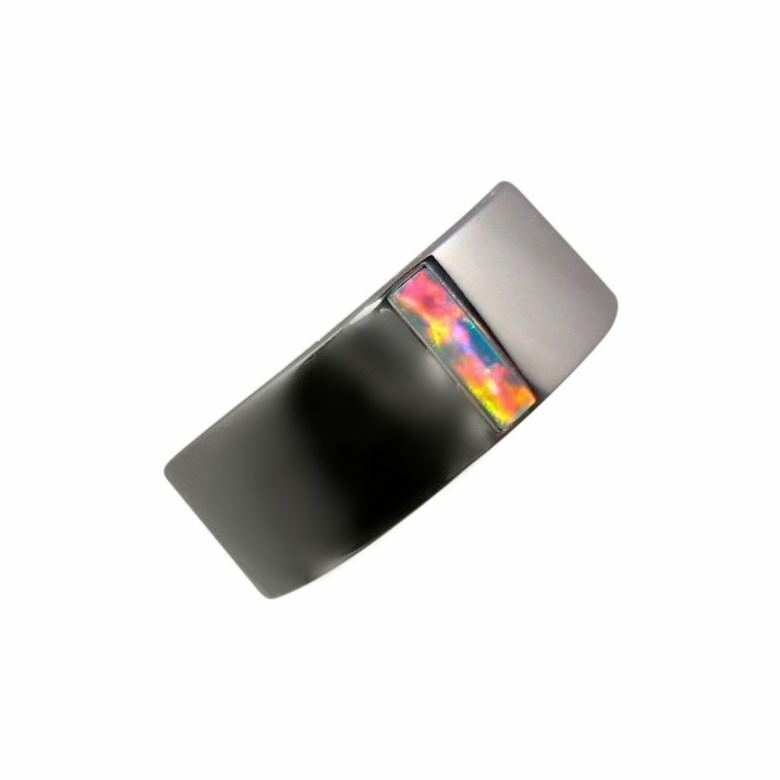 A quality Opal ring that is Made to Order in any ring size and choice of Gold Color and will take about 7 days to make before shipping. The first image shows a ring that was made the same in Yellow Gold which will give you an idea of a finished made to order ring.